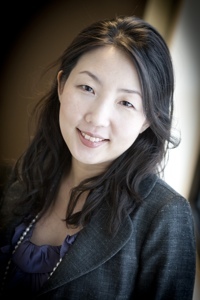 SJMC’s Young Mie Kim to Provide Expertise in Washington, D.C.
After completing a study on how political campaigns operate on digital media such as Facebook, Dr. Young Mie Kim, Professor at the School of Journalism and Mass Communication, will spend the next six months in Washington, D.C., bringing her expertise for campaign policymaking and conducting evidence-based research for policy suggestions in collaboration with the Campaign Legal Center. Kim’s research team, Project DATA, Digital Advertising Tracking and Analysis, investigated the targeting of U.S. voters by suspicious groups ahead of the 2016 presidential election across digital platforms. In their findings that examined Facebook ads collected between Sept. 28 and Nov. 8, 2016, Kim’s team identified thousands of campaign-style ads containing misinformation, conspicuous claims or representing extreme views. The majority of the sponsors for those ads were not registered with the Federal Election Commission, violating current campaign finance law. Furthermore, a significant number of the sponsors for those misleading campaign messages fit Kim’s criteria of being suspicious groups. Because of Kim’s research, the Campaign Legal Center, a nonpartisan, nonprofit organization that works to protect and strengthen the U.S. democratic process, invited Kim to both advise on digital advertising and conduct evidence-based policy research for campaign reforms at both FEC and congress levels. The CLC is one of the leading organizations specializing in election law. Apart from conducting policy research for campaign reform, Kim will also be educating policy makers on digital political advertising in light of the Honest Ads Act, a bicameral, bipartisan bill sponsored by senators Amy Klobuchar, D-Minn., Mark Warner, D-Va., and John McCain, R-Ariz. The bill was proposed as a response to an investigation regarding Russia purchasing political ads during the U.S. 2016 presidential election. Kim brings new research and advice to support those advancing the Honest Ads Act from her study, Project DATA. During the spring of 2018, Kim will be on a six-month leave from her duties with the university while working at the CLC in Washington, D.C. but will return to Madison every three weeks to continue work with members of the Project DATA research team who are primarily based at UW-Madison.